If you were thinking that MaxCoin (MAX) is dead, then you might want to rethink thatas in the last few hours there has been an increase in the trading volume of the coin and the exchange rate is starting to get back up, though still far from what it was a while ago. We do recommend to keep an eye on MAX, especially if you have some coins that you have mined some time ago and still haven’t sold them due to the low exchange rate. 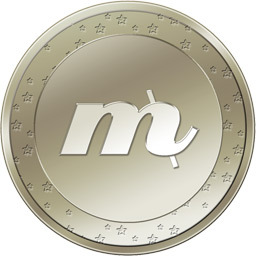 Mining MaxCoin at the moment might also be a good idea with the current lower difficulty and if the exchange rate continues to increase. A few hours later however it seems though it might just be another pump and dump scheme, though the exchange rate stabilized at almost double price than before. Meanwhile the project has released new wallet binaries for MaxCoin 0.9.0, and recommends that everyone upgrades by next week (block 140000). An alternative cryptocurrency disrupting the already rather disrupting crypto market. It does not use a typical SHA-256 algorithm, but instead relies on a different SHA-3 (Keccak) that makes it ASIC proof for now at least. You can mine it with either a CPU, though with GPU mining also available there will not be much point in using the CPU. You need to use a specialized mining client based on cgminer for GPU mining. Considering the fact that this is still very new crypto and it already has a few smaller exchanges supporting trades is a good sign for potential in this one. Retargeting using Kimoto Gravity Well algorithm.